Yamaha Aerox 155 scooter has been spotted in an Indian showroom. 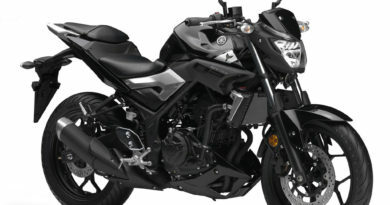 The first thing to come to our mind is that Yamaha is probably launching it soon in India. 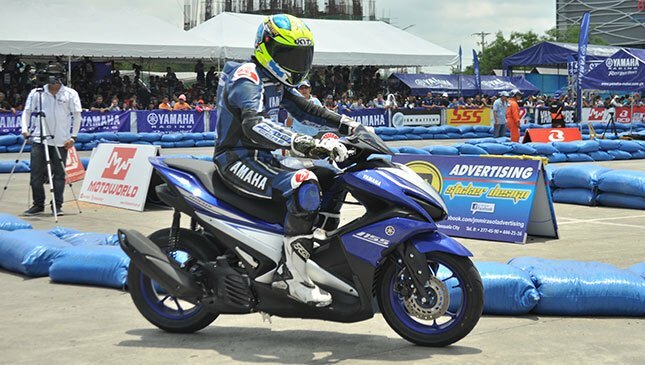 But according to our previous experience with Yamaha, this scooter could just be there for 2018 Auto Expo showcasing. In 2016 Auto Expo Yamaha showcased the Nmax 155 scooter but that didn’t make it to Indian streets. That said, Yamaha is expected to launch a brand new 125cc scooter in India. What do you think? 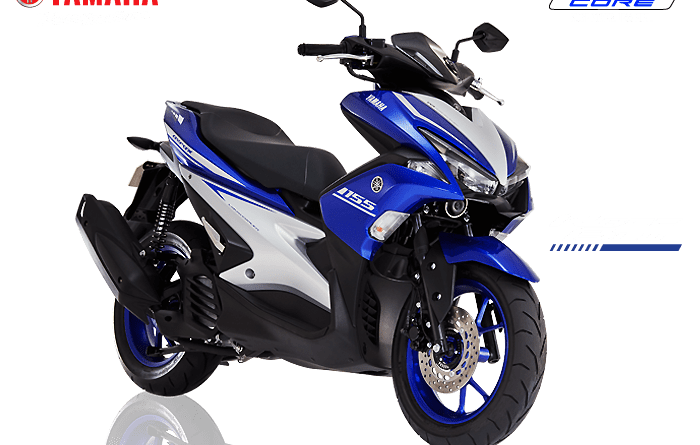 Will Yamaha launch the Aerox 155 in India? The answer will be out after Auto Expo in February. The Aerox scooter is powered by a 155cc, single-cylinder, liquid-cooled motor that produces 15PS of power and 13.8Nm of peak torque. Like the R3 engine, this engine is also equipped with VVA (Variable valve actuation). The scooter rides on a large 14-inch rim and weighs just 126kg. Yamaha Aerox features LED headlamp and tail light, mobile charging port, a massive 5.9-inch all-digital instrument console, smart key and 25 litre underseat storage. The fuel tank is mounted below the footboard, the fuel filler cap for which has been placed on top of it, next to the keyhole. 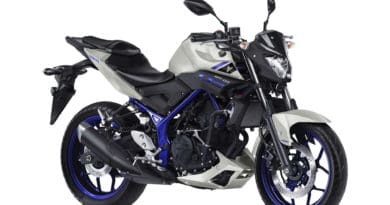 Yamaha FZ25: India Unveil on 24th January?